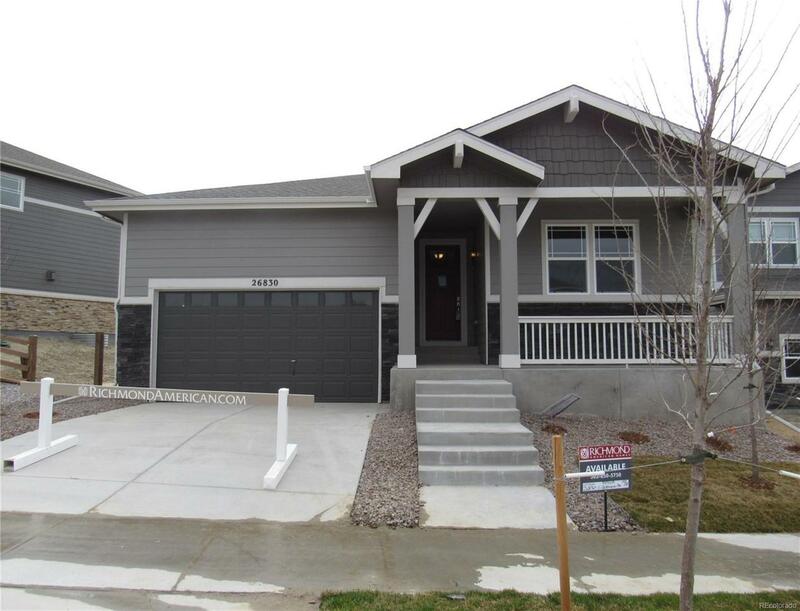 Don't miss this ranch-style Alcott model in Hillcrest at Southshore. This home features a beautiful kitchen with 42" cabinets with crown molding, granite counter tops, center island, and walk-in pantry. Throughout the main floor you'll appreciate the 8 ft doors. Outside, find the covered back patio, with low maintenance back yard. Community features include beautiful walking trails, trail access from Southshore into the Aurora Reservoir Park, and access to Southshores Lakehouse amenities. Conveniently located to Southlands Mall, easy access to E-470 and DIA. Interior finishes handpicked by our professional design team. This home is ready for move-in NOW!